I’ve now finished my second 24 hours of cleansing fast and have started day 3. I guess I’m going to call each day from noon to noon, instead of wake-up to wake-up. Which means I’m about 6 hours into day 3 as of the start of this post (a little after 6pm). Anyway, my sister is a vegetarian and always has “healthy” stuff around the house. So, yeah, it was a hard visit to get through. I took a bottle of V8 Strawberry / Banana juice along to get me through. The bottle is 6 – 8oz servings and each serving is 110 calories, so I had about 700 calories out of it. Now that I’m home, I’m having a bottle of my veggie juice and later I’ll be having another bottle of blend (3 heaping tablespoons of roughage and about 24oz manufactured juice, “shaken, not stirred”). The bottom line is I’m tired, hungry and a bit snarky. Other than that, though, wonderful! (See, snarky – LOL) I guess I should stay in the house and try to avoid people until these first few days pass, but that’s not how “real” life is lived. So, I’m just going to have to muddle through. Other notes: I got a calorie deficit headache today (this morning). When I got home after walking the dog I started to get a powerful (terrible) headache in my frontal lobes (and above both my eyes). Fortunately, I was able to drink a large (12oz) glass of OJ and it went away. Obviously, a cautionary message from my body about not having a “breakfast” drink before the walk. My fingers, wrists, ankles and feet feel great! No swelling at all during the day. That’s a good sign for my heart as it means I’m not retaining water (fluids). Also, my left side (kidney) is much less painful, but I’m still having pain in my groin – although, even that is less than it’s been over the last weeks. I guess it’s possible all of the pain is some kind of inflammation which the acidic juice is helping with. And, of course, the good news is the morning scale: 369lbs. That’s down 2lbs from yesterday and 11lbs from 20 July. Keeping that in perspective (since 2lbs/day is unrealistic long term loss), I’d say I’m just about out of processing food weight (food in my stomach) and saline overage water weight. From now on the weight loss per day should be leveling out at 1lb/day, but this will be “more” actual weight loss which won’t suddenly come right back as soon as I begin eating again. From experience, my “normal” weight re-gain is about 1lb/week. So, a 20lbs loss would take me about 5-6 months to regain. Again, this does not include the 5-7lbs of processing food weight which I re-gain almost immediately (2-3 days). As for drinking juice – my primary physician, my wife and my brother are all convinced drinking fruit juice is bad for me. They are convinced juice fructose is just as bad for me as drinking sugar water. My head agrees with them (mostly) because I understand chemistry. My body does not. Nor does my personal experience. If I drink sugar water, I feel “sweet”, eventually sickly, and then bloated and craving pure water. This is also what happens when I drink any kind of “soda drink”. This rarely (almost never) happens when I drink juice (not “juice drink / added sugar to flavored juice”) or whole milk. If I drink too much juice, I pee and I get fluid diarrhea. What I’m saying is although my head recognizes the chemical similarities, by body somehow recognizes they are different. I do not dispute the amount of calories. Only that they are “worthless” calories. I have a feeling when all is said and done, this argument will end up being like the eggs will kill you / no they won’t, whole milk will kill you / no it won’t arguments which have happened since the 1970’s. Anyway, I drink manufactured / processed fruit juices – as well as juices and smoothies I make at home. 2013 I Resemble That Remark! 2011 Is America Safe Tonight? Well, it looks like we’re in for one heck of a World Series!! In what can only be politely called a “collapse” by their bullpen, the Giants gave up five runs in the bottom of the sixth inning to the Royals and Kansas City never looked back rolling to a 7 to 2 victory. The Royals pitching, particularly the bullpen, looks formidable with everyone throwing heat in the 95+ mph range and off-speed in the low 90’s. By comparison, low 90’s are what the Giants were throwing as their top end pitches. So, the Giants leave for home with doubts and the Royals leave for San Francisco with hope. There is a saying in sports that you can’t have a great Series until both teams have lost a game at home. Now we find out if the Royals can turn the 2014 Series into a great Series. The next three games are in S.F. I’m still predicting a 6 game, 4 to 2 victory by the Giants. I AM ORANGE INSIDE !! Orange October (VIII) – Giants Win Game 1 Of 2014 World Series!! With another dominating playoff pitching effort, Madison Bumgarner followed his team mates to an impressive 7 to 1 win over the Kansas City Royals! The Giants can now play loose in Game 2 and try to steal another out-of-town win. The Royals, on the other hand, are in their first MUST win game of the World Series. They do NOT want to travel to San Francisco for three games behind two games to none. In recent history, the winner of game one has gone on to win the series in 10 of the last 11 series. Bumgarner is 60 wins and 3 loses in his career in games when his team has given him a three run lead. The Giants provided the three run lead in the top of the first inning!! The Royals will now be facing the Giant’s Jake Peavy with their fast ball flamer – Yordano Ventura. He of 100+ fastball fame. Peavy, who joined the Giants for the second half of the season, has been an emotional spark for a team which had fallen into a major slump. Peavy is now an elder statesman, but he still has demonstrated great command and competitiveness. So far that’s been enough to make up of an aging arm and degreasing mph fastball. The good news is that if the rest of the team can supply half tonight’s output, Peavy and the bullpen should have enough to bring us home with the heavy (2-0) advantage. Even if we return home with a split, we will stand a great chance of holding serve and Bumgarner can close out the Series in Game 5 (at home). Man, I can’t wait for tomorrow’s game two!! Giants Win Game 3 Of The 2012 World Series 2 To 0!!! Comments and observations: Well, the boys from S.F. now have a historically significant edge in the 2012 World Series. Despite a tremendous pitching effort by the Detroit #3 pitcher (Anibal Sanchez), Detroit scores no runs and the Giants get their second shutout on the way to a 2 to 0 win and a 3 to 0 lead in the Series. To put this in perspective, NO team has EVER come back to win the World Series after trailing 3 to 0 in games played. There are four games left if the Series were to go to the full seven. To lose at this point, the Giants will have to play .000 ball (lose 4 of 4), while the Tigers will have to play 1.000 ball (win 4 of 4). To add more perspective, both teams are .500 ball clubs, so a change of this magnitude, while not impossible, is extremely improbable. The odds are the Giants will win one of the next four and the Series. Simplistic, but probable. At this point, the question is can the Giants sweep (win game 4 to close out the Series)? As mentioned in my prior blogs about the 2012 Series, it is difficult for a team to win three in a row let alone four in a row. While I certainly want the Giants to sweep, it seems likely that the baseball gods will favor Detroit and the Tigers will win the next game. If that happens, I would expect the Tigers to wallop the Giants and really run up the score. At that point, Detroit brings in its best starter for Game 5 and if they can pull out that win, the Series will return to S.F. for the final two games and we have the potential for a Series for the ages. More likely though, is S.F. starts our best pitcher (Matt Cain) in Game 4 and the Giants close out the Series with a four game sweep. Four-0 or 4-1, the Giants still take the Series after facing the team with the best pitcher and the best hitter in baseball!!! 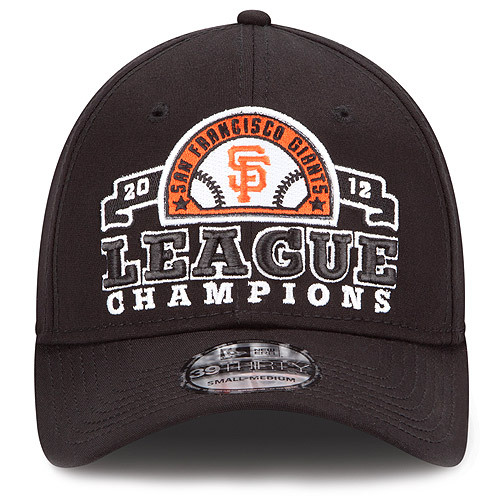 2012 National League Champions – San Francisco Giants!! Last weekend I finished reading “Perfect Figures“, by Bunny Crumpacker (2007©). This is a history story of how civilization developed numbers and thereby learned to count. Obviously, there is a lot of supposition in here, because no one was really around writing the history of the “discovery” of “1” and “2” (and so on). In any case, the book is a fairly good read and seems to make a lot of sense. Essentially, our current numbers seem to have mostly evolved from other cultures and words used to express numerical concepts (values) and then over time were mispronounced until we arrived at today’s word (pronunciations) for the values. What I found most interesting was the concept of “many”, as in, “1”, “2”, “3”, many… Many seems to be the universal expression for more than we care to count at the present time. Another interesting point was the documenting of a perception I’ve had for a number of years, but never really knew how to explain, that is, my inability to count past four to six items. One number is more or less easy to count and remember. So are two or three numbers. But, when I get upwards of four numbers, I start to want to write them down or find some other way of assisting my memory. According to the author, this is universal in our species and hence the cross line in to five by lines and the switch to “IV” for “4” in Roman numbers. Four line (“IIII”) somehow starts to fool the human eye and five lines is “forget about it” (“IIIII”). The interesting thing (for me) was that I had personalized this and thought it was only me. I’d never heard anyone else complain about not being able to count by ones, so I assumed I was the only one with this problem. Be that as it may, I did enjoy the book and do highly recommend it to anyone interested in a lateral view of numbers and counting and an understanding how mankind “may” have learned to count. Just finishing my third day of vacation. I’m planning to catch the new “Spiderman” movie and just relax. I’ve spent the last four days working on my “Honey-Do” list. I’ve finished the floor trim in the bedroom we just installed laminated bamboo in. I’ve also helped a workman I hired for a couple of days take care of some other jobs: we removed a falling down metal shed from the backyard and hung a swinging gate on the side of the house (which used to be a solid fence. He also did some ground levelling and removed an old wall heater from our hallway. All in all, a VERY productive few days off! Last but not least, my Giants have now won four straight series since the All-Star break and have the “hated” Los Angeles Dodgers coming up this weekend. Go Orange and Black! !